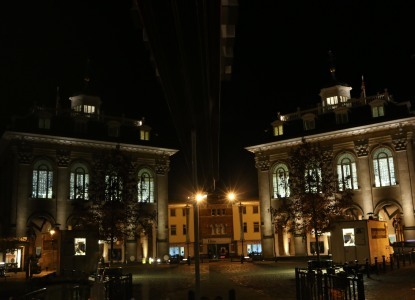 In Abingdon’s finest building, the Abingdon County Hall museum, there was a special Halloween treat from 7-9pm this evening. 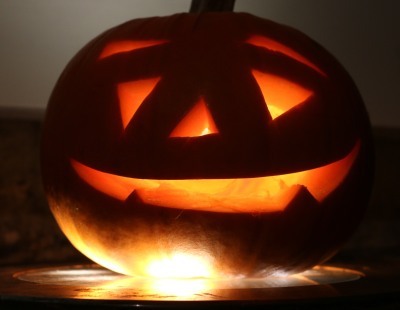 Pumpkin Heads were placed on up lights on the pavements outside. 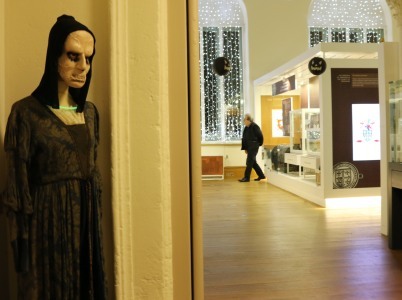 A new museum attendant stood there to frighten unsuspecting visitors. 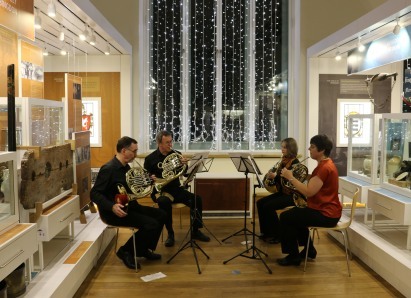 The Spooky Music Horn group played Harry Potter Scores, and Phantom of the Opera in the sessions gallery. 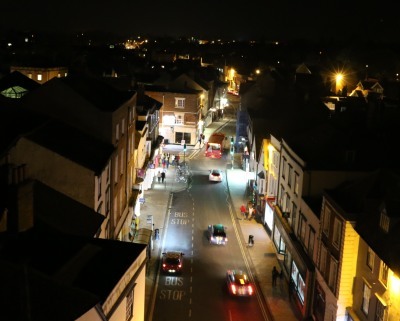 There were also night time roof views of the town at the first Halloween Opening of the Museum. 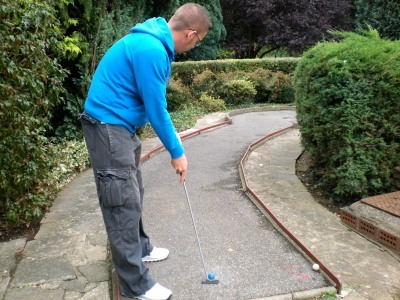 The Abbey Grounds had a major refurbishment back in 2007 – funded by Heritage Lottery money. 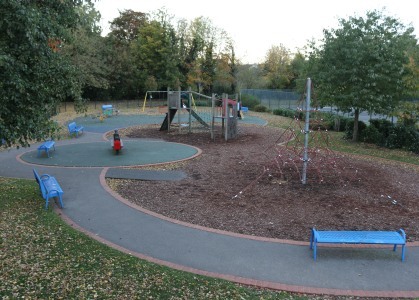 In addition the Vale of White Horse District Council created a new play area in the Abbey Meadows and a water splash area, and despite the threat of closure the town council stepped in to keep the Open Air Pool going. Now more money has been found by the Vale of the White Horse District Council to put towards a project in this same area in 2015. They are inviting community groups to come forward and take part in workshops this November. 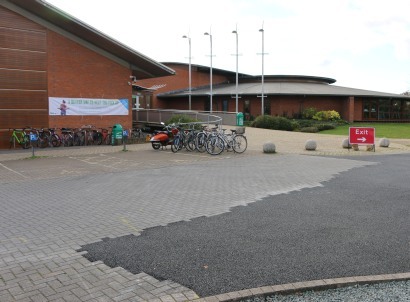 One advertised on the internet will be Tuesday 4 November 6-8pm at the Guildhall in Abingdon. From ideas that come out of this, and other workshops, they will develop 3 schemes to go to public consultation in the spring. 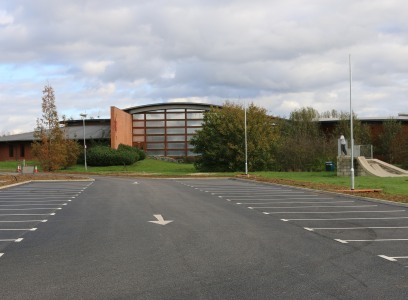 On the District Council web site its says “The Vale of White Horse District Council is keen to invest in these facilities to further benefit residents and to see this prime riverside site appeal to an even wider demographic, so that it attracts visitors all year-round. 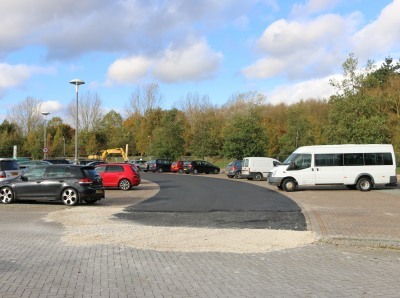 The new overflow carpark at the White Horse Leisure & Tennis Centre in Abingdon is completed. 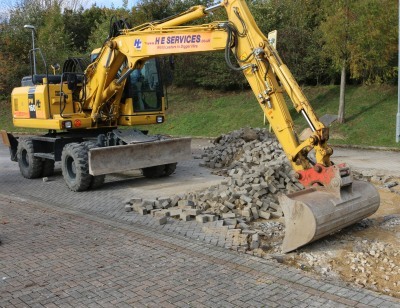 and the herringbone bricks replaced by tarmac. To me this seems peculiar, but then I wasn’t on the Council committee that decided the change. To me it looks like the pantomime exchange of ‘new lamps for old’, and such a waste of resources. The Abingdon Christmas Extravaganza Festival is a month away on Saturday 29th November. The first lights were being put up today in preparation. 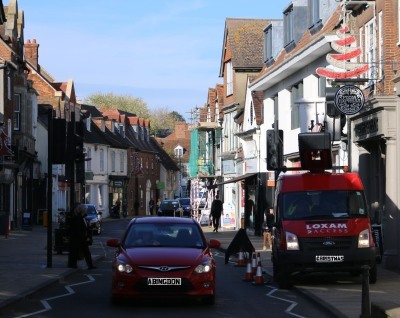 This included several red and white Christmas Trees down Stert Street, and assorted lights down Bath Street and West St Helen Street. The larger street decorations will follow in the coming days. A large number of shops are already well prepared for Christmas. Others will have to first take down Halloween pumpkins before turning on the real glitz for the biggest commercial festival of the year. 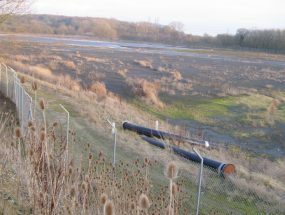 The largest of the Radley Gravel Pits was pumped dry at the start of 2004. A fence was erected, and the pit was pumped full of fuel ash slurry from Didcot Power Station. By the start of 2006 when featured on this blog there stretched a black morass, partly covered by reeds and grass. 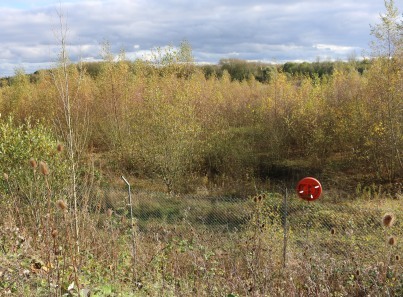 A fence still surrounds the area – marked by lifebuoys; but now ten years since the gravel pit was filled, trees have grown to cover about half of the area, and are colonising the other half. 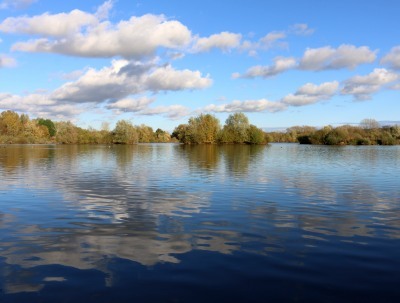 Nearby Thrupp Lake was saved from a similar fate by the Save Radley Lakes campaigners. It had already matured into a lake.